The holiday season is about relaxing with friends and family, enjoying the warmth and joy of yearly traditions, and—of course—having fun. 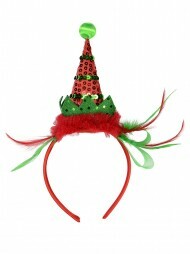 Give the joy of laughter with these charming holiday headwear options and put a smile on everyone’s face this Christmas. Perfect for seasonal carolling, festive bar crawls, holiday 5k marathons, and Christmas day gift opening. 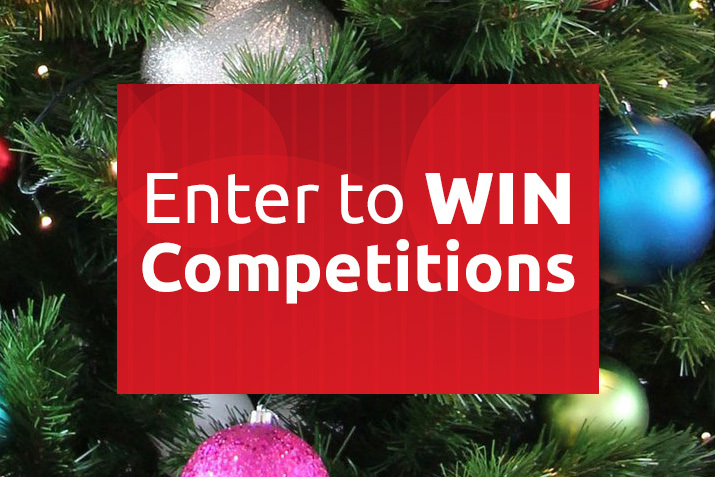 Get in the holiday spirit while decorating the house or baking your annual cookies for neighbours and family. 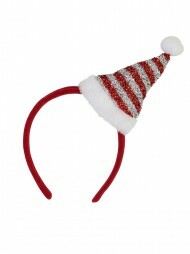 Dress your whole family in loveable holiday hats to enhance the cheer of your next festive gathering. If you’d like to start a more varied holiday hat tradition, try swapping out your usual Santa hat for one of these stylish alternatives. Whether you’re donning an elf hat, Christmas tiara, or holiday cowboy hat, your festive headwear will be a great conversation starter and set you apart from the crowd at your yearly holiday dress - up party. 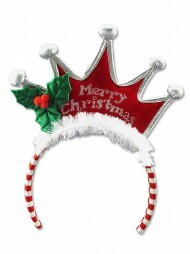 Play fun holiday games, like musical hats (a variation on musical chairs) or dress up your usual game of charades. For Christmas karaoke, holiday - themed pub - crawls, and seasonal fundraisers, these hats will please your audience and help create team unity. Stock up on a fun assortment of hats for your community’s carolling night and prepare to woo your neighbours with new levels of Christmas cheer. Featuring fun details like glittery metallic finish, printed ribbon, jingle bells, and faux natural accents, these hats are a great way to enjoy the holidays in your own unique way. Get a fun variety of hats for each of your family members to spread the joy of Christmas day and build excitement for the holiday. Prepare your home decorations or plan a family cookie - baking day with your matching hats or a buy a selection of different headwear and let each family member choose their own “holiday helper” hat. Whether you’re wearing your hat in anticipation of the big day or on Christmas morning, these headwear options will no doubt enhance your family festivities and delight even your “Scroogiest” of friends and family. Allow your pets to don the hat of their choosing and unleash their hilarious look to friends and family. Let Fido wake everyone up on Christmas morning wearing a hilarious headpiece, or jaunt around town to show off your four - legged holiday helper. 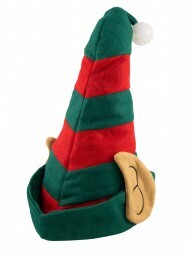 Give the gift of humour to colleagues, family, and friends by giving them their own Christmas headwear to enjoy. Encourage co - workers to wear their hats to the last staff meeting before the holidays. Plan a funny Christmas photo with your friends or family by purchasing a wide assortment of holiday hats and headbands to create a unique holiday card to share with others. With this holiday headwear, you’ll find a simple and effortless way to forge new hilarious memories and make this Christmas a season to remember. For holiday performances, plays, and pageants, these fun seasonal headwear options will help add detail and function to your event. 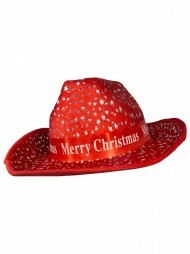 Pair a Santa hat with various elf caps, or watch as your choir members sing a western - inspired Christmas song while they wear holiday cowboy hats. This type of surprise twist on traditional holiday expectations is sure to be a hit with your audience, and will ensure that your performers remember to have a fun. For holiday plays, comedy shows, and dance recitals, these charming hats will enhance the goodwill and happiness of everyone’s favourite season. 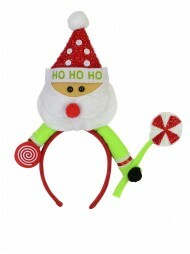 Put a smile on every face you see while wearing one of these unique and adorable Christmas headwear items. Give the gift of laughter by wearing your favourite alterative to the traditional Santa hat, or plan a matching getup with friends or family members. 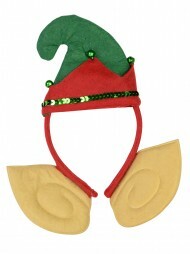 For best results, pair these festive headwear options with fun holiday sweaters or full thematic costumes.